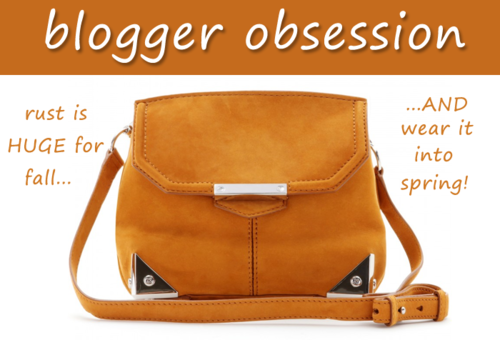 I’ve had my eye on this trendy little bag for a while and I am about to pull the trigger! Digging the rusty, burnt-orange color (great for Texas games!!) combined with the light silver hardware. This bag is the perfect transitional piece from fall to spring. Get it here.